Distance makes the heart grow fonder. Volcanoes are best loved from far away. The excitement of live lava is best viewed on a screen and not through the window. Of course, actual distance is good, but distance in time is also often deemed sufficient. Your house may be next to a lava flow, but if that flow is 300 years old, the chances will seem pretty good. It makes that threatening mountain into a true neighbourly volcano, viewed with affection rather than trepidation. So it must have appeared to the inhabitants of Puna. Yes, there were lava flows around, some less than a century old. Yes, the area around the Royal Gardens subdivision had been utterly destroyed by the seemingly never-ending eruption. But that was much closer to Kilauea, and Puna should be safe. Almost 60 years of quiescence was a pretty good sign. And Puna is a really interesting place to live. The forest is absolutely beautiful, and the tropical gardens could grow anything (including, admittedly, some fierce mosquitos). The area was initially quite isolated and the community self-sufficient: it was a good place for people with an independent, self-reliant attitude. Not everything was paradise, and the distinction between rich and poor could be pronounced. Development had accelerated with time, with more and more houses and industry. Part of the forest was cut to make way for farming. The geothermal plant generated 20% of the Big Island’s electricity. And still it was not a bad place to live. At least, until May 3rd, 2018 when the first fissure opened and the gardens started to grow flowers of quite a different kind. But how secure should the people have felt? Was this eruption bad luck, or was it waiting to happen? The map at the top shows the elevation. Mauna Loa is the elongated elephant. Kilauea is the bump just below it, on its flank. The site of Pu’u’O’o is indicated by the red arrow. The east rift is clearly seen. Mauna Loa is known for its long rift. But Kilauea is not bad either! This volcano is not just a pretty summit. It too has a long reach. Before 1950, summit eruptions were the norm. Since 1950, the summit has done rather little and eruptions have tended to come from the east rift, dominated of course by Pu’u’O’. The entire east rift is a staggering 125 km long, over half of which is beyond Puna in the ocean. The part between Pu’o’O’o and the tip of Puna, Cape Kumuhaki, is sometimes called the Lower East Rift Zone, or LERZ for short. The LERZ is a little over 20 kilometers long and a few kilometres wide. It forms quite a pronounced ridge, slowly declining in elevation from over 500 meters near Pu’u’O’o to sea level at the coast (admittedly this states the obvious). The ridge stands 50 to 150 meters over the surroundings, and is built by spatter from the many eruptions. Individual cones may be as high as 60 meters. On the southern side the slope is much steeper than on the north: this is caused by the tendency of the south side to slip towards the sea, as also happened earlier this month. Lava goes either northeast or south/southeast, depending on exactly where on the ridge it originates. It is often a close call. Most of the eruptions have been from long rifts similar to the current one. The rifts tend to form a line of rift segments rather a single rift. The segments are not entirely aligned: they tend to show sidesteps, 10-100 meter sideways. Rifts on the northern part of the ridge tend step towards the left, and ones on the southern side step to the right, in both cases diverging a bit from the ridge further along the LERZ. However, towards the eastern end, the southern rifts can become left stepping, towards the north. There are other types of eruptions. There is one large shield (Heiheiahulu), very similar to what Pu’u’O’o has done and in fact not very from that location, covering the area directly to the coast. There is also one explosive crater, 1-km wide Kapoho. It is only just above sea level, and so it is likely that the explosion was caused by sea water intruding into the rift. This was not a minor event: an area of 6 km2 was covered by its pyroclastic flows. Let’s look at some of the more recent eruptions. 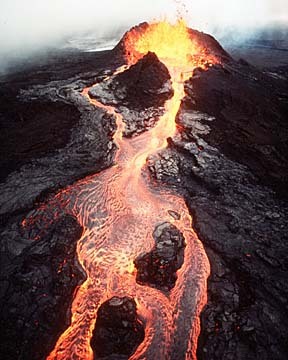 Historical events began with the 1790 eruption, although there are oral stories among the Hawaiian of older eruptions. The 1790 eruption was one of the defining outbursts of Kilauea, with deadly pyroclastic explosions at the summit. But the eruption also involved the LERZ where it was a major event. It formed not one but two rifts, 1-2 km apart, one on the southern side and one on the north. The southern rift was over 8 km long and the northern one a massive 13 km; both are segmented (‘echelon’) with side stepping. The flows cover 35 km2 and the volume in the LERZ area is about 0.12 km3. The crater of Kilauea may have formed in the 1790 eruption, but only a small fraction of the evacuated magma has come out in the LERZ. The next major eruption was in 1840. It erupted from a northern rift, 7.5 km long, with a couple of vents about 1 kilometer further north, somewhat away from the ridge. The lava flowed northeast-ward and covered some 20 km2. Where it reached the ocean, a cone formed, build by explosions as the lava hit the water. The total volume of the lava was around 0.15 km3. The 1955 eruption, described in the previous post, came from a southern rift, 16-km long which included a 2.5-km gap which did not erupt – which is where the 2018 eruption is occurring. It was slightly smaller than the 1840 eruption, covering 16 km2 with 0.11 km3 of lava. It reached the ocean in two areas. Sofar, the 2018 eruptions have covered 1.3 km2. The volume is still less than 0.01 km3. We are still very far from 1790 territory! The 1960 eruption came from a short segment, 1-km long, at Kapoho which was where the 1955 eruption had terminated. It followed on from an eruption at Iki, and like the current eruption, the rift eruption was accompanied by deflation at Kilauea. The lava covered 10km2 and amounted to 0.12 km3. There was a short eruption in 1961, which covered about 1 km2 in the western part of the LERZ and lasted one day. And nothing since. There were three eruptions in 7 years, but nothing for 115 year before, and nothing after until now, a gap of 57 years! The frequency of eruptions in the Puna area seems slightly irregular. The south side of the ridge had no lava flows for 165 years. No wonder people felt safe. The period 1955-1961 seemed the exception, and the time since, the rule. Of course, Leilani was built on the ridge itself so it had twice the risk – but twice a very small chance still seems a very small risk (of course people who play the lottery think exactly the opposite: the potential reward skews the perception of chance.) 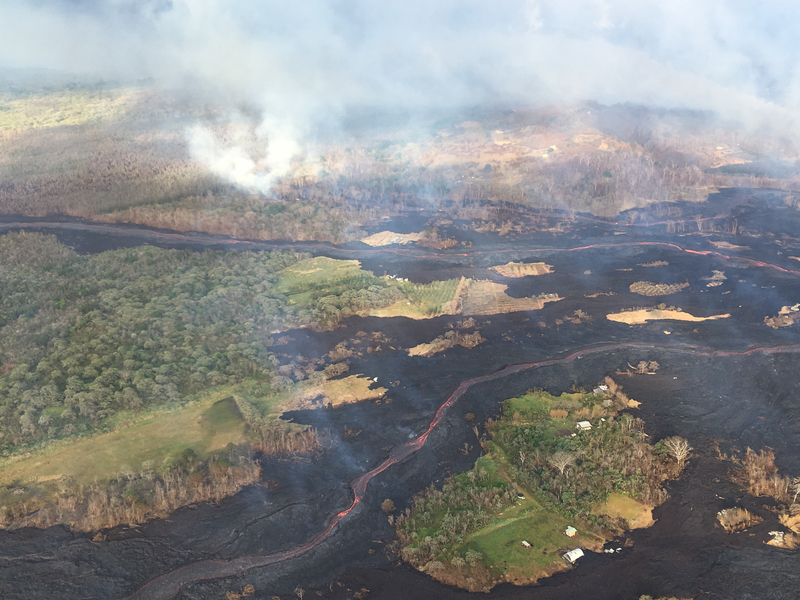 20% of Puna was covered in lava flows less than 250 years old, but most of that happened 200 years ago. That was a different age, wasn’t it? But history tends to repeat itself. What does the older history have to say? What was the real risk of building in Puna? All of Puna is lava. The lush growth conceals this well but look underneath and even the rain forest is built on lava. In this climate, it doesn’t take long for lava to green. The first plants germinate within months (although the heat on the black lava can be pretty hostile until some shade develops) . Trees can grow on 40-year old lava, and after that, only the height of the trees betrays the youth of the lava. Carbon dating has been applied to many of the lava flows here, and this has shown a surprising picture. It seems that the past 250 years have been a bit of an anomaly. Let’s go back a little more. A total of 15 different eruptions are dated to the 200-year period before the 1790 eruption. This includes the explosion of the Kapoho cone. It also contains the shield of Heiheiahulu, which covers a surface area of 45 km2. That eruption started as a short fissure, before building a large cone which at the end collapsed and became a pit crater. Heiheiahulu is very much like Pu’u’U’o. Local stories suggest that it erupted somewhere between 1700 and 1750, and if it is indeed a Pu’u’O’o copy, it may have lasted years. The volume is probably of order 1 km3, which is a few times less than Pu’u’O’o. Also interesting is a flow from Ai-laau, a vent to the northwest of Kilauea. This produced a flow which made it to Puna, covering the region northwest of the ridge. The flow cover 100 km2: the summit still can outcompete the rift! 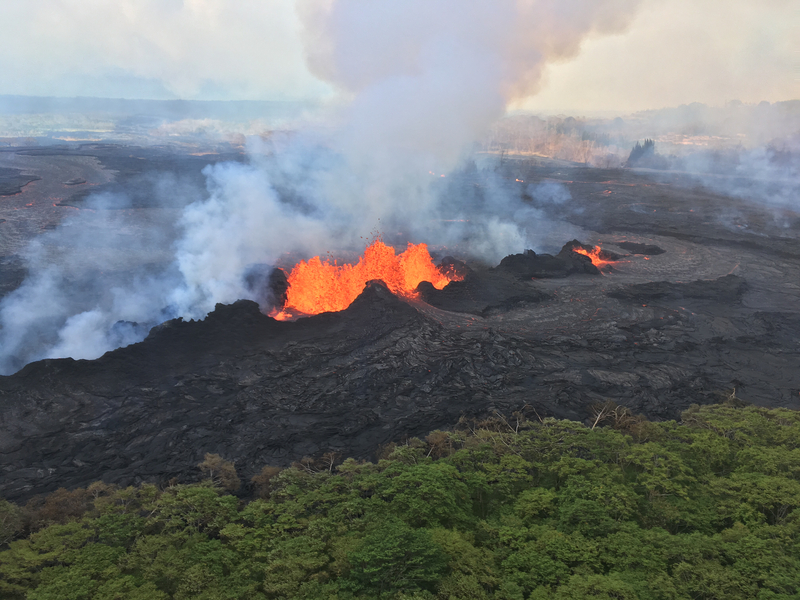 It also shows another truth about Puna: while the southern and northeastern part are at risk from the LERZ, the area north of the rift is affected by eruptions from near the summit of Kilauea. This is another eruption mode we haven’t seen for some time, but it will re-occur – eventually. Including these three, a total of 15 separate events have been identified for this period of time. In total they cover 50% of Puna. Ai-laau and Heiheiahulu are by far the most voluminous: excluding them, the rest amounts to about 1 km3. Clearly, the 200 years before 1790 was a scary time in Puna. Going back another 250 years, eruptions become even more frequent. In the time period which runs roughly from 1300 to 1600, at least 20% of the area of Puna was resurfaced. It may have been much more, since the later flows will have covered up much of the evidence. A staggering number of 54 eruptions have been identified in this time zone. For about half we know where they came from, as we have found the spatter cones at the origins. For the others, the point of origin is buried under younger flows. The eruption of the spatter cone of Puu Kaliu came from a fissure about 1.5 km long, along the southern side of the LERZ. It covers at least 12 km2, and the volume is about 0.2 km3. Puu Kaliu is just south of Leilani. Two other eruptions were of similar size. One is dated to 490 BP (with an uncertainty of 60 years either way) and lies on top of the Puu Kaliu flows: it covered at least 18 km2 and has a similar volume to Puu Kaliu. The second is dated to 440 BP and may have formed a shield similar to Heiheiahulu, but it is mostly buried by the latter and by the 1955 lava. The cliffs at Kehena, with at least 15 separate layers, comes from this eruption. Puulena Crater is another event from this time period. It is the site of a major phreatic explosion, possibly when a rift opened underneath a lake. So this was another exciting period of time. Going back further, the record becomes more and more patchy as the evidence for the eruptions is buried underneath younger flows. So what can we learn from this? Some caution is required as not all dates may be that accurate. Also, some eruptions may have been double counted. For instance, the distinct flow fields of the 1955 eruption could have been counted as two different eruptions with these methods. But overall, it appears that the eruption frequency at Puna has been much higher between 250 and 800 years ago than it has been since. It also seems that the long duration of the Pu’u’O’o eruption is not that exceptional. There have been other longer-lived rift eruptions in the past. Since 1790, the LERZ has erupted on average once every 50 years, although the intervals have been highly variable. Before that, the eruption frequency was closer to once every decade. And even though the individual volumes aren’t huge, peaking at 0.1-0.2 km3 with most eruptions considerably smaller, at this frequency Puna was rather quickly covered in lava. Almost the entire surface is less than 800 years old. 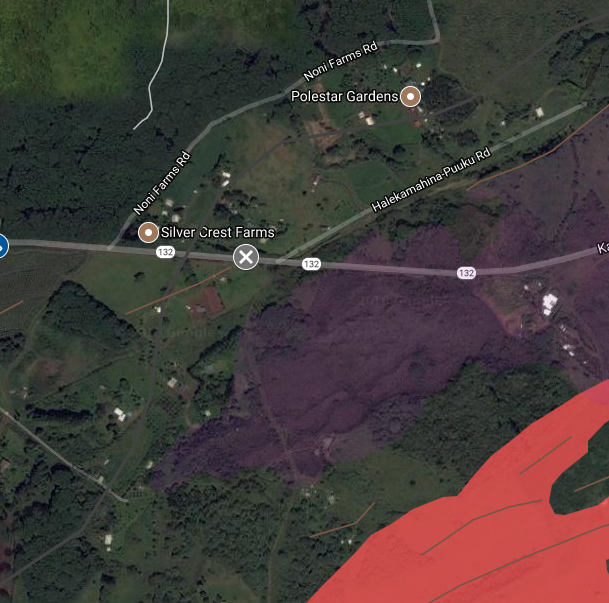 Build a house anywhere in Puna, and the risk of losing it to lava is of order 20% per century. Build it on the ridge, and that risk doubles. Kapoho, at the coast, is particularly endangered: there have been a lot of eruptions in that area, and it runs pyroclastic risks when sea water penetrates the rifts. The average dormancy time of the LERZ over the past millennium is only about 15 years. Puna is not just a distant appendix of Kilauea. Pele loves it out here, and many of Kilauea’s eruptions push into this region. The volume may be limited, but Puna is one of the most volcanically active areas in the world and possibly the most active in Hawaii. The past 200 years were exceptional. The current eruption is business as usual. These lush gardens are built on a regular supply of molten rock. There is always a cost to paradise. In the past few days the eruption has gone into another gear. Before, the lava was sluggish and build a ridge but had difficult going beyond that. But, as HVO has predicted, once the new lava arrived it was obvious. Fountaining was the first sign, and soon lava not just clogged but positively flowed. Lava rivers appeared and they moved fast. A river flows through it.. The activity became confined mostly to the east-most end of the previously numbered fissures. Fissures 16 and 20 merged and became the main point of action. Fissure 17 came along but seems to fissing out. The map below is on a google map viewer. 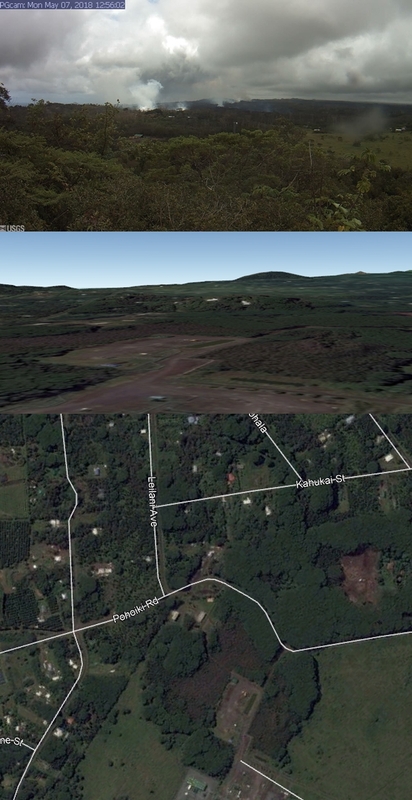 It shows that the action is just below the Puna Geothermal Plant, which presumably is now defunct. Interestingly, this plant was put in this location because of a thermal anomaly: the ground underneath had higher heat flow than other locations in the area. In hindsight, was this a warning? 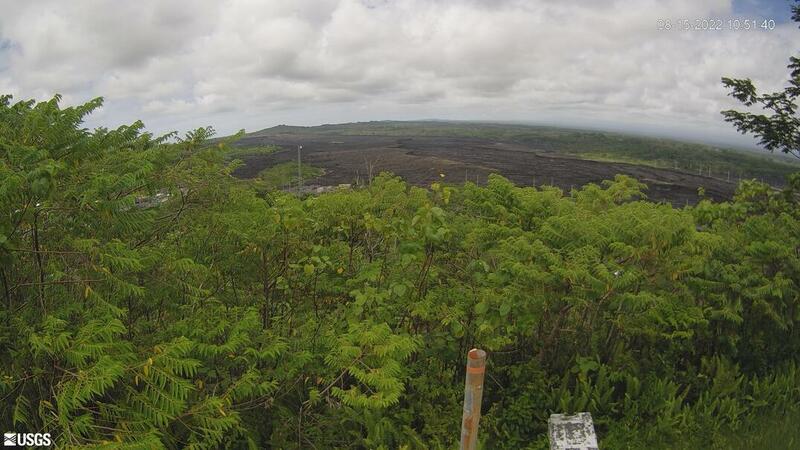 It is also the area that hadn’t erupted in 1955 while the ridge on either side (of Leilani) had. Now we known that the magma hadn’t skipped through: it had been stored here for later use. A map of the active fissure and flows, as of 12 hours ago. 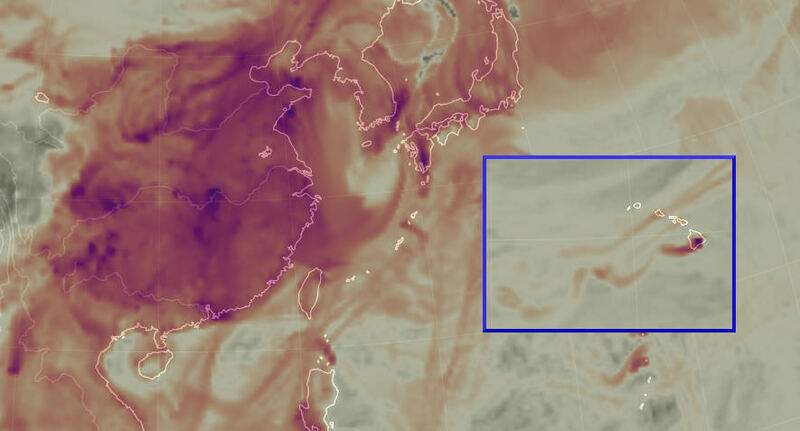 An estimate from the map suggests that the total flow field covers 2-3 km2 so far. A large Puna eruption tends to cover some 10 km2. We are not in that range yet. The amount of erupted lava may be around 0.01-0.02 km3. The current flow field may not get that much larger in surface area until the eruption moves to new fissures. The fissures have fed two lobes, one of which moved though housing and farm land, and the other through rain forest. The two lobes met and split again, flowing around a kipuka and fed two ocean entries. The eastern (farmland) than found a crack and disappeared into it. What happens next depends on how big a hole it has found, but lack of steam away from it suggest it has not gone far. Obviously, where lava enters the sea you will get steam: with this volume the lava itself actually become hard to see. The white cloud is both impressive and extremely dangerous. It contains hydrochlorid acid and minute glass particles – think asbestos. Some of the videos taken from boats look dangerously close to the plume to me. (There is a 300 meter exclusion zone which they will be obeying.) Luckily, the trade winds are blowing the plume along the coast away from people on-land (the ones still there shouldn’t be). By the weekend the winds may change and blow the plume in-land, but again, hardly anyone is left there. Along the fissure, the SO2 is very bothersome and it is unlikely to get any better. Volcanic smog is awful and a considerable health hazard. Fissure 17 (at the far end) is now reported to have erupted andesite. That is probably not that unusual. Puna has significant magma storage and depths of 1 to a few kilometer, and some of that evolved magma has come up. Fissure 17 is at the end of the current line of activity, and so the magma it produced may have had the least amount of mixing with the new magma. There was some discussion whether it came from 1955, but there is certainly far older magma around. What is next? The current fissures seem to be less vigorous than before and they may have peaked. Cinder cones have build up which I estimate at 30-40 meters tall: some will survive. Fissure 17 will cease shortly, I expect. HVO has reported that GPS no longer shows expansion of the rift, and so the inflow no longer exceeds the outflow – at least here. The fact that the earthquakes around Leilani have ceased also points at that. However, if the current fissures become less active, the pressure up-rift will increase and this could well lead to eruptions there. Fissure 21 is particularly worth watching. Over the next week, there is a danger of similarly fluid eruptions within Leilani, and later also further west. However, this is far from certain! Everthing south of the fissure line is at risk. Outbreaks west of Leilani could also flow northward, although it is unusual for Puna eruptions of the same rift to go both ways. Pu’u’O’o is dead. GPS shows that the exponential decline has bottomed out: there is nothing left there to drain. It seems unlikely to ever recover, and its final fate may be that of a collapsed pit crater. But who knows, it could still surprise us in a few months. Halemaumau has settled in a pattern: it shows increasing tremor, explodes, tremor goes away but slowly rebuilds. It is not clear to me what causes the tremor: I was wondering about boiling water.The crater size expands with the explosion but the rock quickly recovers and resumes its contraction. There tend to be a few explosions at the same minimum crater size, after which it goes to the next size. The explosions are not as strong as earlier, but this means nothing. These explosions could continue for quite some time, until the lava has risen again to above the water table. The park could be closed for some time. I have not seen any estimates of the damage yet, apart from a few million dollars due to tourists staying away (can’t entirely blame them, but the north side of the Bg Island is also spectacularly pretty and far from any volcanic disturbance!). But in the scheme of things, that will be small fry. 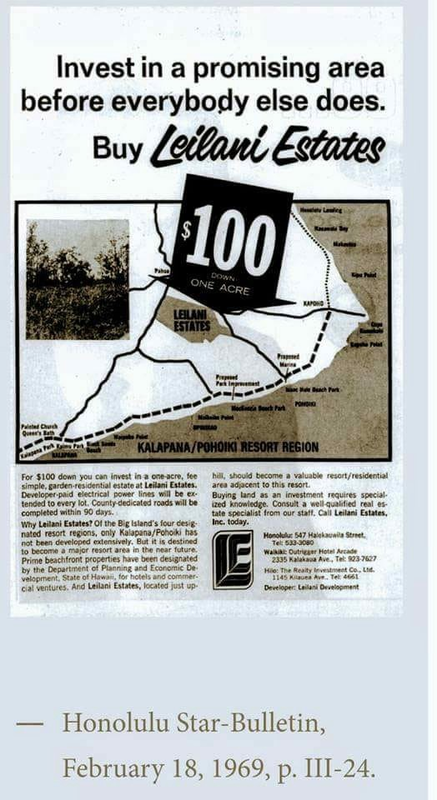 To compare: the Kilauea eruption of Feb 28, 1955 destroyed 21 houses, 10km of road, 4000 acres of sugar plantations and one coffee plantation, amounting to 40 million dollar at today’s prices. Mt St Helens cost 1 billion US, which is half the price of Eyjafjallajokull where the dominant cost was the continent-wide flight ban. The mud volcano in Indonesia has cost around 3 billion so far. The 2018 eruption has already destroyed more buildings than in 1955. However, most of the 1955 cost was in the lost sugar, while in the modern economy there is much less value in the land and much more in property. We can estimate that Leilani as a whole is worth 200 million US, and the geothermal plant probably around 100 million, based on its 38MW capacity. (I find it amazing that Leilani was started less than a decade after the 1955 eruption!). Double the cost to include clean-up, road rebuilding etc, and one can guess a total cost of around half a billion US. That assumes that this eruption continues for a few more weeks: if it ends soon the cost will be less. Update from Civil Beat . ”Lava erupting from the Kilauea volcano has reached the property of a geothermal power plant where toxic gas lurks in underground wells, the head of the state emergency management agency said Monday. So far, a berm has halted the advance of the lava at about 200 to 300 meters from the wells of Puna Geothermal Venture. I’m thinking something like 5280 feet of water. This is still not enough to put the bottom of the casing above the critical point of water. (hydrostatic head). Also why they are toying around with the idea of using drilling mud. Many formulations of drilling mud contain bentonite clay. This slurry of mud should overcome the pressure at the base of the shaft and keep it from flashing to steam. It’s gonna have to be a pretty thick mud though, if there is an open path to the surface that the water at the bottom of the column can “feel” then the normal pressure gradient applies. Harry Kim? 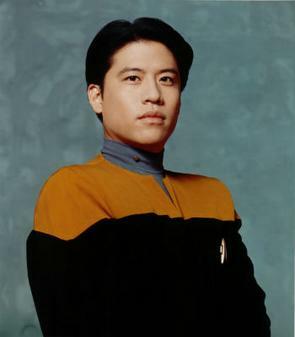 Isn’t he an operations officer on board Federation Starship Voyager? I wonder how that played out in the Mayoral election. Excuse my ignorance, no engineering background. My question is; There is a mile deep well full of water under pressure with a steel plate cap on top. In this mixture there are toxic chemicals. Metal can deform when heated to high temperatures. One well is ‘resisting’ capping. So worst case scenario, capping fails and toxic water fountain interacts with molten lava. Have I got the scenario correct here? That would make a geyser-like effect, but it wouldnt be that extreme. The geothermal plant is apparently uphill so the only way for lava to flow into it is if the eruption lasts long enough to fill in that area, or is a lava fountain is big enough to rain spatter over that area. If either of those things happens then the threat of the well exploding is somewhat pointless as no-one is going to want to be anywhere near it. H2S is also flammable so if lava actually flows over that well then it will catch on fire and make SO2, which is still dangerous but way less toxic than H2S is. Of course all this means nothing if the well that is resisting capping is actually further out than the main complex and explodes anyway. Your looking at trying to contain upwards of 2 million psi at steam heated to magma temperatures. I imagine that it’s a pretty good small scale approximation of the dead zone. Looks to be closing in on the PGV. I believe it must be a lava flow/lake. I know i doesn’t like to move uphill, but perhaps the flow has created its own barrier downhill, and is now making a lake on the north side. The vegetation seems to be very hard to ignite, and hasn’t really been able to make a self-sustaining fire from what I have seen so far. Thank you. I was wondering if the lava water interaction of a possible well failure would also create a small ash cloud? However all this seems unlikely unless the flow continues for an extended period. Admin: This was a reply to turlebirdman above but none of my replies seem to go to the correct slot? The well exploding would be pretty serious dont get me wrong, but I think if anyone is actually close enough to it to be injured either by the explosion or the H2S I think they were already far into the danger zone. H2S is very toxic, but it is also something that is engrained in our sense of smell and we can detect it in extremely low concentrations. It is one of the only things we can smell equally as well as a dog, in fact. It will also dissipate in the wind very quickly so it is unlikely to be dangerous very far from the point of origin. If someone is near all that with the obvious danger then they are kind of asking for it, in all honesty . Actually for high concentrations of H2S we don’t smell it anymore, I think above 150ppm. That’s one of the reason it’s so dangerously. We don’t witness PGV beeing overrun by #22-lava. Lava has entered PGV property. It is on their land but, at the time of the story, the concern was more that they were having difficulty closing wells. You might have to scroll down to get the story. If the previous pattern holds, the next summit explosion will be in four hours from now.. The return interval on large scale tilt transients is 6.3 to 15.3 hours at the 95% interval. It was almost a sure bet. What about the man hit by a lava bomb? He is supposed to live in Noni Farms Rd, and was “standing on his third-floor balcony”. I wonder if there are any houses with a 3rd floor in Noni Farms Rd. And: this is northeast of the cam guys, much further away from the fissures. Perhaps the the man was actually hit by a refrigerator? If that is actually where he was when he got hit then that must have been a pretty massive explosion, either it was ejected sideways or the explosion actually threw the lava bomb high enough that the trajectory had it land in that location. It is against the wind to go that way so this was entirely from the eruption itself. If that lava bomb exists still then it could be analysed to test its composition. If it is andesite then we know where it came from. If it is basalt then something really weird must have happened. Mentioned on the Civil beat, but not verified as far as I know. Uh, he was protecting homes south of his place at the fissures. Ok, that makes sense. Let’s hope he feels better soon. So he was actually much closer to the fissures then, that makes a lot more sense and doesnt require a really massive explosion. Here he is, telling the story. There is a minute or so, with a frozen stream.. He would have been out cold..
Tim, I’m very interested in public communications around events like this. Could you give me a link to a piece of her reporting? And an on-air report by her. Got it. Mileka Lincoln for Hawaii News Now. 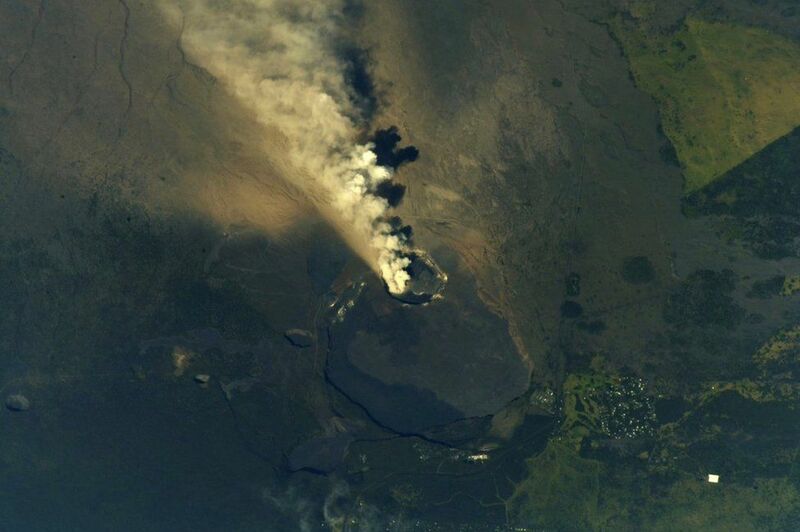 Is fissure 17 still active creating its exotic andesitic cinder cone? For something that has never been seen on kilauea before it doesn’t seem like anyone is paying much attention to it. Exotic being overshadowed by trendy. Kilauea has produced pre-historic lava with a silica content of 59% (just in the andesite range) near the Yellow Cone. This is from an article written by the owner of that house. I agree that poeple shouldn’t buy houses on a volcano, but still the real estate guys should at least mention that next week your house could be swallowd by the earth and replaced by 100 ft fire columns? Madame Pele saw that ad and decided to take up their offer…. You can now see the fountains on the pg cam. There seems to be a lot more white steam in the background of this live feed . Is this because water now may be involved ? The fissure is sealing, due to a lower volume of magma being erupted or the fissure at the remaining fountains becoming more efficient. It is to be expected, but it could be temporary! But phreatic explosions are not out of the question, either. Just looked again even more thicker now . The thickness of the steam is dependent on the ambient humidity. I’ve noticed the phenomenon at our local power plant quite often. Which fissure is this on the webcam? @turtlebirdman Fissure #17 still going but it output is way down. The scatter cone has grown more tho. Are these new outbreaks on the right hand side ? The one furthest to the right, at the edge of Halemaumau, has been there since probably 1974. That’s where the SWRZ meets Halemaumau. It was barely there in 1986, my first trip, but by 2007 it was very pronounced. I don’t think so. There have been steam rising out of the ground even before the eruption started. Especially after rain. I guess it’s water/groundwater reacting with hot ground. Are you talking about the large “cloud” to the right of the venting gas? In the far right hand side on the ground but it could be the downfall from the clouds above. That’s a smudge on the lens. We’ve been hoping they’ll clean it for some time now. Fissure 6 reactivated and is threatening the PGV like fissure 22. The are waiting for bentonite shipment to plug the wells. Whats up with the H2S threat, why is it so high amounts? I know there can be H2S in normal ground water but not that high? The SO2 (5km ) column Kilauea Volcano. Its really good for prevailing winds and storm systems, but I don’t know where they source their SO2 readings from. 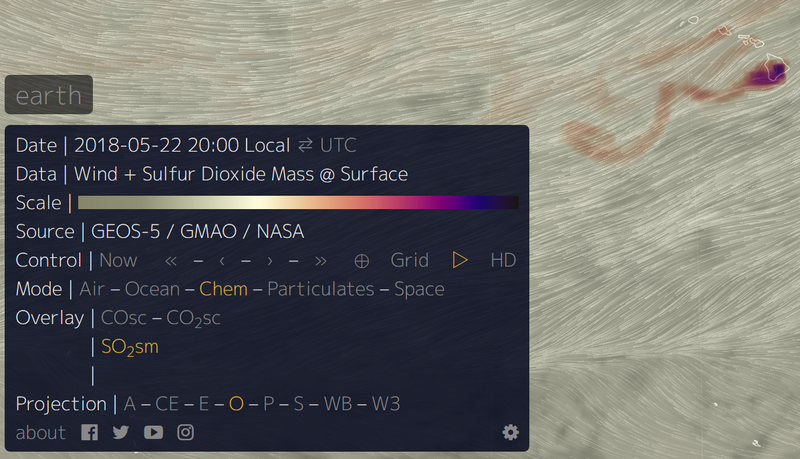 For Kilauea to do a stratospheric SO2 injection, a really bad thing has to happen. I don’t think that it can structurally build that much pressure. With the apparent lowering of the fountain over the past day, I have been wondering if the eruption will go into high fountaining mode following a total pause in lava emissions, as in all lava flows and fountains stop, but a vent stays active and some time later the pressure at the vent increases and there is a geyser-like effect similar to what happened in 1959 and during the start of mauna ulu and pu’u o’o. This didn’t really happen in 1960 or 1955, but I think i remember reading that it could have happened during some of the bigger eruptions in lower puna. Most notably pu’u kaliu is known to have erupted a sequence of a’a flows and built a very big cone (a lot of it has been quarried away) which indicates a fairly long eruption that happened episodically similar to the first stage of the pu’u o’o eruption. Statistically it would be unusual for this eruption to not have at least one episode of high lava fountaining, every other eruption since 1952 that has lasted more than a week has featured high fountains. Sometimes they started very quickly within the first week, but other times it took a lot longer, up to 2 or 3 weeks. This eruption has been erupting at the current rate for only about 4 days so it could still go on for a while longer with the amount of magma involved. I think high fountains are something that HVO are looking out for. Is there any known volume for how much lava was erupted in the first week of the 1960 eruption? That could give an indication of how big this current eruption really is. Lava reaching the ocean in less than a day is already a decent indicator that this isn’t a small event, but a direct comparison would be much more useful. It could also allow an estimate on how high the average eruption rate is. You can see the ocean entry from the Puʻu ʻŌʻō North Flank from the North Rim [PNcam] now. You can see both in mobile cam 3. This video seems to show why the fountain in the livestream is smaller than before, its because half of the magma is erupting out of that big fissure that opened last night. Most of that flowed south too, but a bit did destroy some property and there is still a pretty significant fountain there. There is also a new flow from that fissure that is going towards the ocean. KLUD is picking up with activity. We had a couple of 3.0 at Kilauea. That is really close to the hwy 130 cracks, maybe something is happening there, or maybe this is the arrival of magma directly from the summit, which should theoretically be even more gas rich than the pu’u o’o magma that is erupting now. The chemistry is probably the same as the pu’u o’o magma because of how open the system is, but the summit had a much higher gas content (6000t of SO2 per day when the lava lake was there) so this could be the warning sign of a much higher fountain in the near future. The wind is blowing away from where the livestream and PGV are, but a really big directed fountain will basically ignore anything short of a hurricane so they should have a fast evacuation plan at hand. There isnt really that much difference at the early stages except pu’u o’o is a bit more closed, but pu’u o’o started high fountaining shortly afterwards and really built up. KLUD is near the 130 I think. This isnt directly about what is happening right now, but about an idea I have been thinking about recently. It is not based on anything actually researched though so it is just a hypothesis at the moment. On the previous page of comments there was a discussion about the large shield of kane nui o hamo, which is between mauna ulu and napau crater and directly north of makaopuhi crater. Kane nui o hamo is similar to pu’u o’o in many ways, including its probably long eruption duration (probably measured in decades), large volume (smaller than pu’u o’o but still probably at least 2 km3) and the extensive pahoehoe lava field it created, rivaling that of pu’u o’o in area (the sparsely forested coastal plain on the western side of the pu’u o’o flow field is from kane nui o hamo). The other notable thing is that it has a very big summit crater like pu’u o’o, while the other lava shields seem to lack this feature. This indicates that kane nui o hamo suffered the same fate as pu’u o’o and that it ended with an intrusion into the lower east rift. Pu’u kaliu is roughly the same age as kane nui o hamo (~750 years) but probably a bit younger, and is possibly the result of this event (completely hypothetical). The interesting part comes when all of this is considered, and that is the fact that large summit overflows seem to start right after this event, with the ai’laau eruption being the biggest one but smaller scale overflows happening both before and after it from another now destroyed vent called the observatory vent, which sent flows over the southwest rift area. My hypothesis is that the kane nui o hamo eruption involved the formation of an open conduit in the rift zone up to that point, and that it ended with a downrift intrusion that possibly erupted as pu’u kaliu, in either case it drained out both the rift and the summit, and this caused a suction effect that pulled huge amounts of magma up into the summit area and lead to rapid caldera filling and overflows. If this hypothesis is correct then the next few centuries will be very interesting times for kilauea, and quite a huge contrast to the 30 year shutdown after 1924. It is also backed up by the fact that kane nui o hamo probably formed under a fairly high eruption rate similar to pu’u o’o, and the caldera overflows must have had a similar or even higher eruption rate to become so extensive – the June 27 flow got to 24 km long before it solidified, while ai’laau flows are up to twice that long, indicating higher eruption rate almost double what was erupting at pu’u o’o in the last few years (or that the ai’laau eruption wasnt always actively overflowing, probably a combination of both). Right now the supply from depth is about 0.2 – 0.25 km3 per year, while in 1924 it was about 0.02 km3 per year or less. This argues that while this current event might be structurally similar to 1924 (‘small’ summit lava lake collapse, steam explosions, intrusion into lower rift zone (and eruption this time)) but the outcome could be very very different. I also made two not very good pictures in Microsoft Paint that show the caldera as it was within the last year, and a possible view from the same spot in 50-100 years based on my theory. I will try to put them on another comment though as this one is already big enough. Do you have to have an account to put pictures from your saved folder into these comments? Host the images with something like tinypics first then link them into here I guess. You do if you want to upload it to our server. Most people put their images on a separate image server (there are several that will allow you to do that), and put the link in the comment (make sure it links to the image itself, not a website wrapper). Here are the pictures. Both are basically drawn over a picture I found taken from the Jagger museum. The yellow is the road, and the pink dots are the Jaggar museum, HVO and Volcano House in clockwise order. If the summit was to produce a large flow from Kilauea Iki to the east it would be a disaster. I dont think this is going to happen but with the 1959 kilauea iki and the prehistoric Aila au flows an erution here is another option. It even has its own large pit crater so who knows maybe this is another axis of volcanic activity at Kilauea. I love how complex this volcano is. Yes that would be a major problem, however I think kilauea iki would have to fill for that to happen, and as eruptions there are infrequent (there will probably only be one more eruption there by 2100 statistically) I dont think that will happen soon. That picture is meant to be some time in the next 100 years, and is assuming that the style of eruption that has characterised pu’u o’o would continue at the summit. The overlook crater is much wider now so a lava lake is unlikely to be able to fill the entire thing at once, so the next eruption there will probably create a perched lava pond which will fill it up until eventually it overflows again, and then eventually after probably 10-15 years it would be able to flow out of the caldera to the south. The next period of extensive summit overflows is probably about to start, and maybe the formation and overflowing of the overlook crater lava lake while there was already an established active flank vent was a warning sign of what is to come. This morning there was a swarm of shallow quakes West half of the caldera. Remember that the entire summit area is deflating due to magma withdrawal. Ground deformation means earthquakes will happen. A lot of them will be shallow. This does not mean that some new phase is starting, but is more likely to be caused by subsidence. Maybe I should post my pictures into a new comment on the current article so people can properly discuss them for a while, I uploaded them only an hour or so before the next post was made so discussion will get cut short. Did anyone else notice the somewhat odd readings from the KIS station from around 16 and lasting about two hours? It is visible both on the highpass and lowpass drums and caused a clear signal on all three lines of the tremor plot. Not a very high amplitude, and it is not visible on any other nearby stations, but enough to stand out from background levels. Normally, I would say this is probably hydrothermal, or a small jökulhlaup, but those usually result in mostly high frequency readings. New post is up. Putting numbers on Puna.